Cosmetic Dentistry, and teeth whitening in particular, has become an obsession for some Americans. As of 2007, nearly a decade ago, Americans were spending over $1.4 billion dollars annually on teeth whitening products. That number has only gone up with a flood of new products and treatments being introduced to consumers. In-office bleaching – Typically a one-visit approach, special lights or lasers are used to help whiten the teeth without damaging enamel or harming the soft tissue around your gums. – Typically a one-visit approach, special lights or lasers are used to help whiten the teeth without damaging enamel or harming the soft tissue around your gums. At-home bleaching – Strips and trays are used, typically with peroxide, to lift away stains. This option can be risky for those with sensitive teeth, or people who have fillings or crowns on their front teeth. Whitening toothpaste/products – Many of the toothpaste brands have some kind of whitening toothpaste, mouthwash and strips available on the market. Depending on the brand, there are additional concerns such as the plastic micro beads that some brands put in the paste to add texture. How Do Your Teeth Get Stained in the First Place? Diet and habits have a measurable effect on the color of your teeth. Things like wine, coffee, tea, berries and soda all can leave teeth yellowed and stained. Smokers also will suffer stains on their teeth. In both cases, cutting down or quitting some of these color-causing behaviors will not only keep your teeth looking whiter, but also help with oral and physical well-being. This is definitely a time when “everything in moderation” will ring true. Some people are doing more damage than good by overcompensating to quicken the process. Improper cleaning techniques and practices can harm your mouth, gums and even damage your teeth’s roots. Make sure you work with a professional dentist when deciding what techniques you are going to employ, and the products that you are going to use when working to whiten your teeth. As always, it’s good to have a solid plan in place. What Can Fulmer Dental of Kenosha and Paddock Lake do for You? Our general dentistry serves Kenosha and Paddock Lake and the surrounding communities in an effort to keep their mouths healthy, teeth clean and smiles beautiful. We specialize in the process of cosmetic teeth whitening services that are safe and effective. 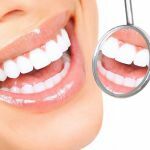 If you have any questions involving the teeth whitening process or if it is right for you, consult with us to help you make the right decisions. Stop in to visit with Dr. Fulmer to help create a comprehensive plan of teeth cleaning techniques to have your smile looking better going forward. 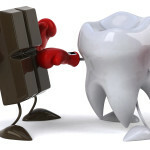 What Is Tooth Decay And How Big Of A Problem Is It? Maybe it isn’t a surprise to some of you, but according to the CDC, 9 out of every 10 adults has some measurable form of tooth decay. Tooth decay is damage to your teeth from acidic buildup that eats away at the enamel of a tooth. Once in progress, it leads to a hole inside of the tooth, commonly called a cavity, which can lead to more decay, infection and possibly a loss of the tooth if not treated properly. This is why it is important to see your dentist regularly. Regular visits help your dentist identify the kind of problems and treat them before they become too severe. How do you know you’re experiencing tooth decay? Besides regular dental visits, it’s important that you take a matter of responsibility for keeping your teeth strong and healthy into your own hands. This can be achieved by some very common practices. This is the kind of care we love to provide as a locally owned Dentistry serving the oral healthcare needs of Kenosha, Paddock Lake, and the surrounding communities. Don’t let a toothache become too severe. Just stopping in for a simple teeth cleaning can stop it from turning into a costly, painful nightmare. Build your relationship with Dr. Fulmer and our entire dental team by contacting us today. Over the past year Kenosha-based UAW retirees of Chrysler, through a deal that merged the auto manufacturer with Fiat of North America, regained many health benefits; including dental coverage. This is important because many retirees are over 60 and seniors are at high-risk for a number of oral and dental related diseases and problems, as well as underrepresented when it comes to insurance. 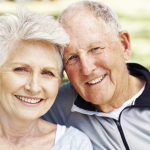 According to the American Dental Association resource site, Mouthhealthy.org, there are a few things adults-over-60 must take extra care for when thinking about oral care. To prevent or treat many of these issues, your best bet it to maintain a regular schedule of visiting a dentist. Your dentist can keep on top of issues before they worsen, and help prevent others from even happening. While waiting to see a dentist the main things are still making things like brushing and flossing a part of your daily routine. It’s these extra steps that keep the integrity of your teeth and don’t allow things like decay and plaque to take over. As a Kenosha and Paddock Lake based dentistry, we take pride in our community and understand the role and impact that UAW retirees had in building and serving Kenosha over the years. We’d like to help out. We’ll work with you and your insurer to help address any dental related issues and get you back as close as possible to your best dental health. It is often said that the thing 50% of people notice first about you is your smile. Whether this is true or not it does reveal that there is something important and attractive about having nice, healthy teeth and gums. The way to do this is by implementing a 1-2 punch consisting of daily maintenance that you can do on your own and regular dental check-ups.